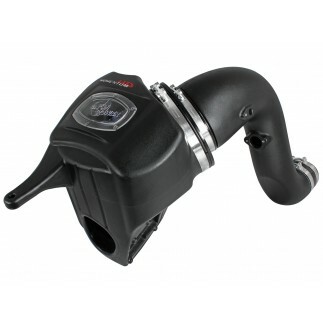 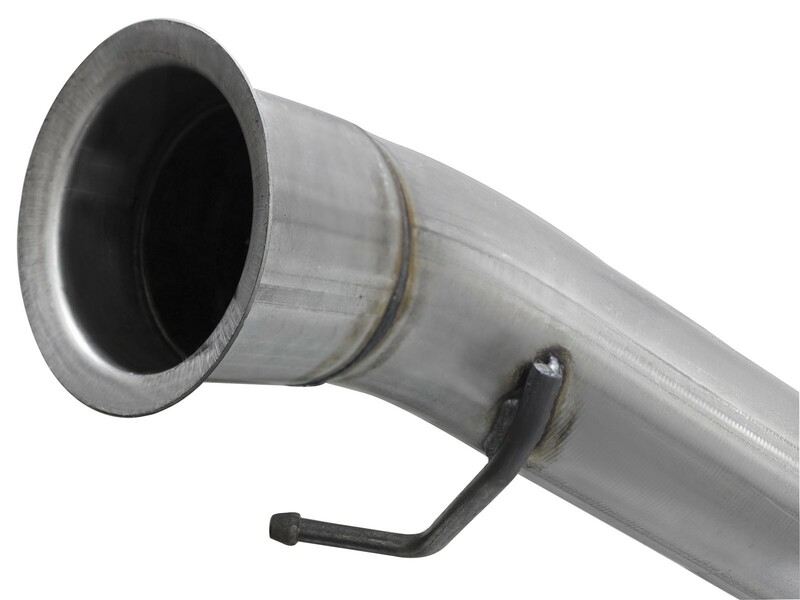 The Large Bore-HD turbo back exhaust system is engineered to perform in the most extreme environments. 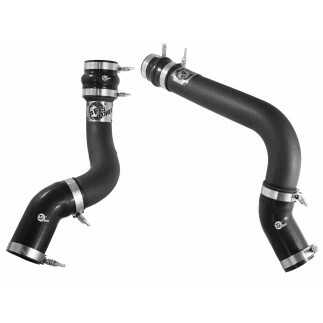 This system is constructed from 4" mandrel bent stainless steel tubing for maximum flow, increased horsepower, increased torque and lower EGT's. 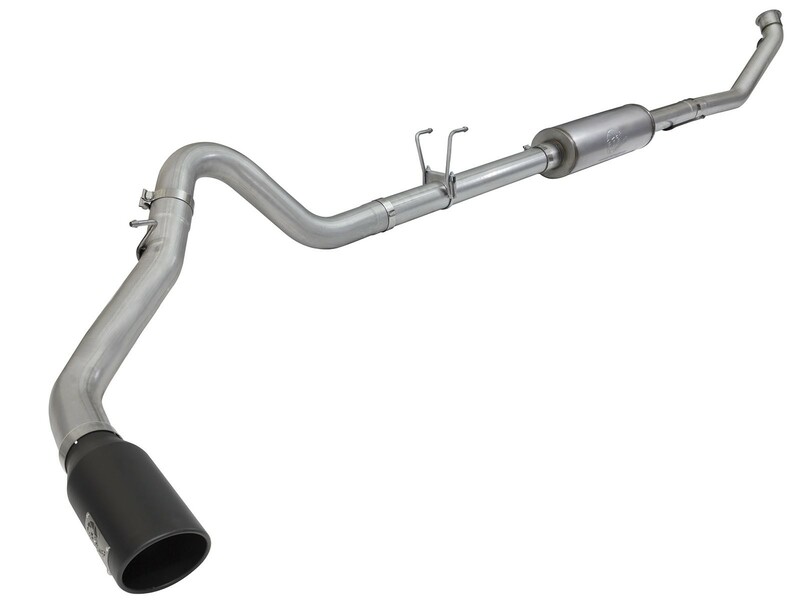 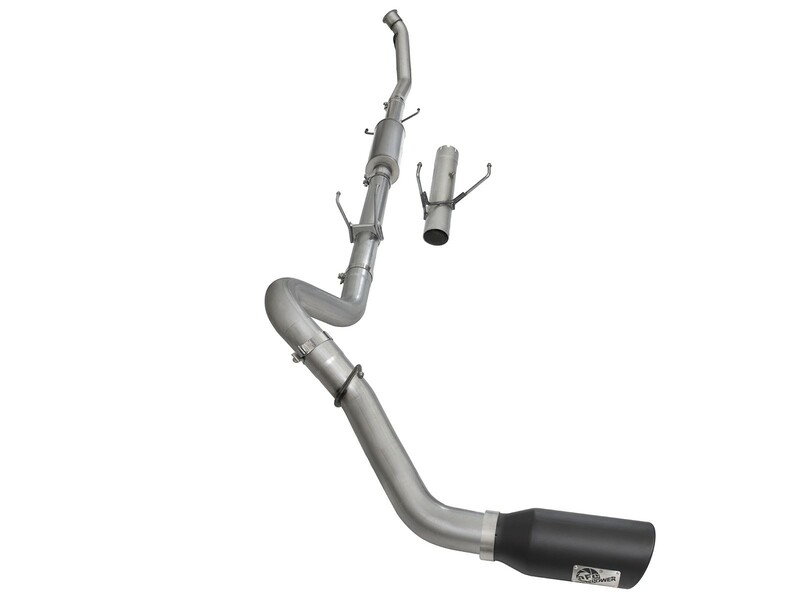 This system is available with a free-flowing 24" long muffler and includes a 6" diameter black stainless steel clamp-on tip with a laser-cut stainless steel aFe power plate for an aggressive style. 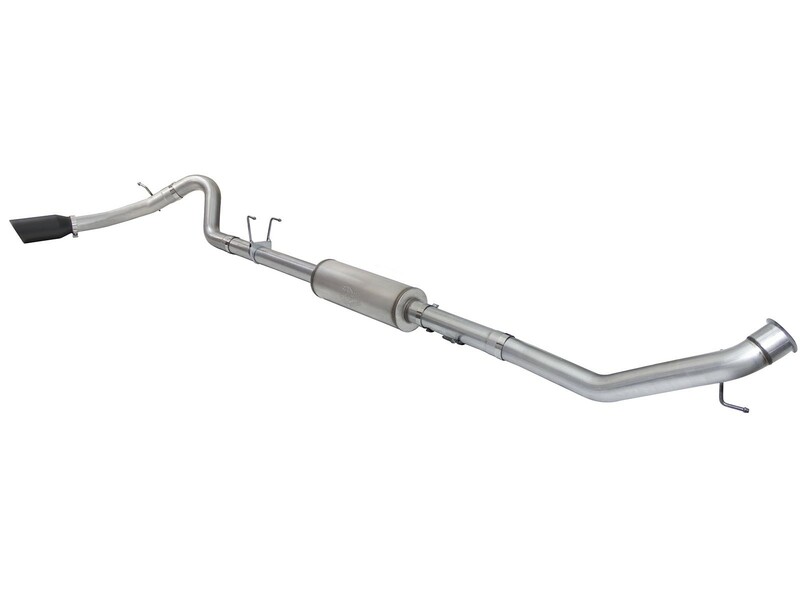 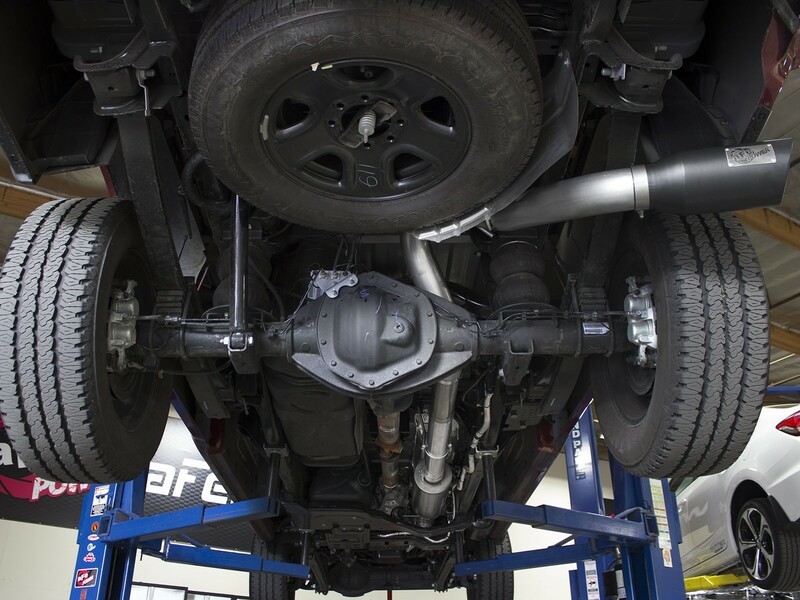 This Large Bore-HD exhaust system includes an extension pipe to fit cab configuration and uses factory mounting locations providing stability and hassle-free installation. 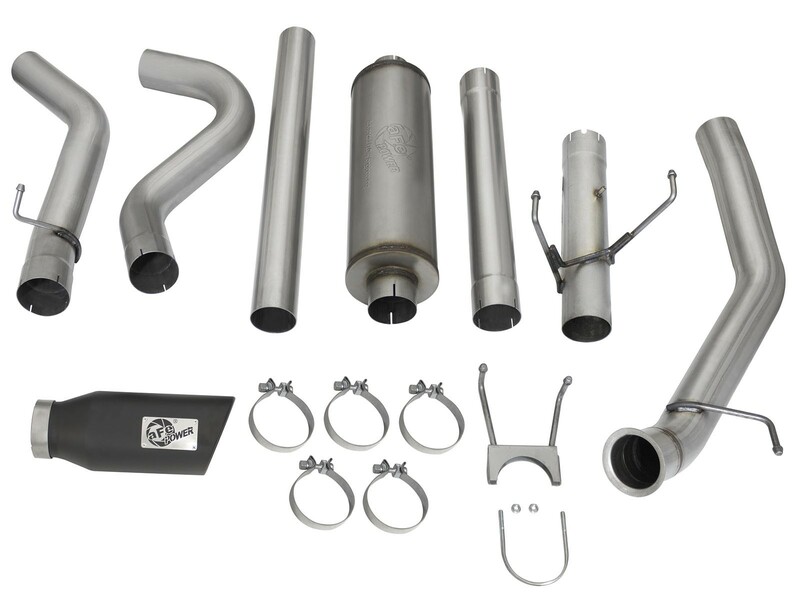 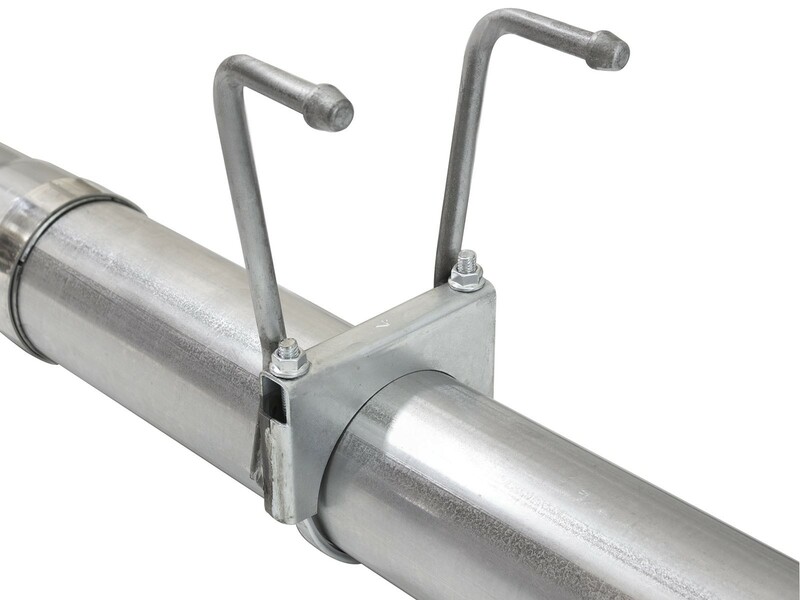 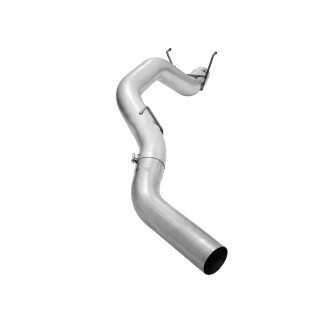 This Large Bore-HD exhaust system is constructed of 4" mandrel bent stainless steel tubing for maximum flow. 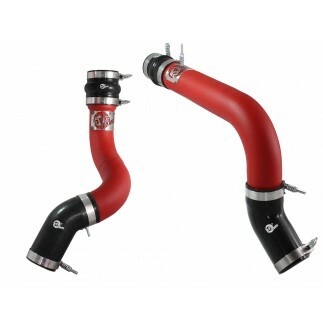 Smooth transition bends allow for low turbulence, increasing horsepower, torque and lowering EGT's. 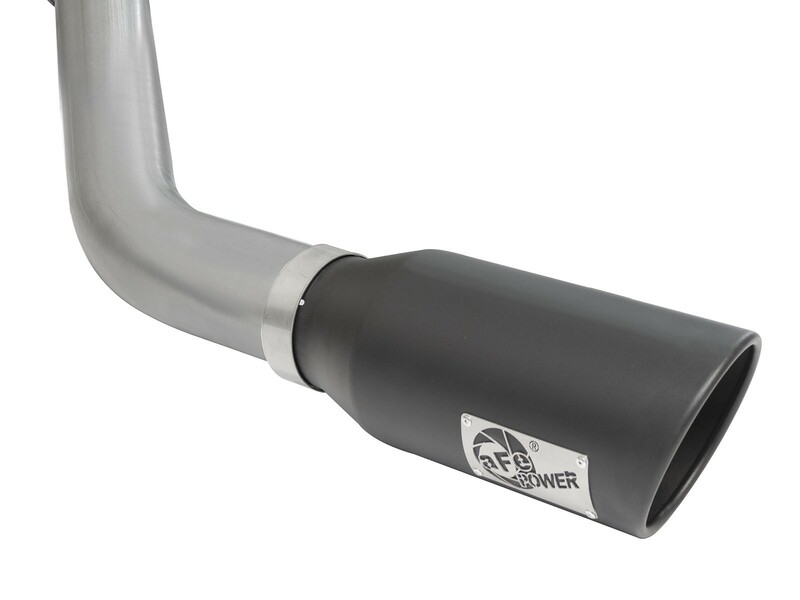 Finishing off the exhaust is a 6" diameter black stainless steel clamp-on tip with a laser-cut stainless steel aFe power plate for an aggressive style.